Liane Ashberry was a singer and community worker in Leicester, UK. She wrote songs and played in a little band called Rude Angel. Liane died by suicide in April 2015, just after completing the album Ploughed Heart. Liane’s beautiful lyrics and vocals on this album were strongly inspired by the loss of her daughter Ella age 11 in 2009, and how Liane saw life, which was with the most extraordinary love, fun, generosity, and compassion. In 2017 the Festival of Life and Death was launched, inspired by Liane Ashberry’s story, and the Ploughed Heart album. The Festival of Life and Death is a free adaptable global concept and movement for suicide awareness, prevention, innovation, education, joining together and ultimately a world without suicide. 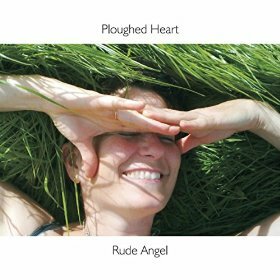 The album Ploughed Heart is free to download from this website. See the Festival of Life and Death, inspired largely by Liane’s suicide and the many mental health challenges that devastate so many people today. Thank you for your wonderful support. Liane’s beautiful lyrics and vocals on this album were strongly inspired by the loss of her daughter Ella age 11 in 2009, and how Liane saw life, which was with the most extraordinary love, fun, generosity, and compassion. Sadly Liane lost her own battle with a sudden deep depression in April 2015, and so the album became about Liane as much as Ella. The charitable purpose of the album has grown now to mental health and suicide reduction, specifically in 2017 to the Festival of Life and Death. The band Rude Angel was formed by Liane Ashberry (vocals/trombone) and Alan Chapman (guitars/pedal percussion) in 2010. Shaz Collier (vocals/sax) joined soon after this. We played live and recorded in Leicester UK. Our album Ploughed Heart was written/recorded 2011-15 and released October 2015. Liane died in April 2015, shortly after recording was finished. 12 songs are written by Liane and Alan, and one is written by Shaz. Liane was loved by the hundreds of people who knew her, and Liane loved everyone she knew, and everyone she did not, and all the natural world. Along with her enduring love and laughter, Liane leaves us her songs, and the inspiration and comfort they offer, whatever and however this music makes you feel. Proceeds of the album and donations go mental health/suicide reduction, specifically in 2017 to the Festival of Life and Death. Here is the artwork for the CD cover, and the booklet containing the lyrics. The booklet is particularly beautiful. All tracks are available to stream free from Soundcloud. Thank you to everyone who helps and supports us. Email about anything to info@rudeangel.co.uk. Or use the contact form on this website.